When you brew filter coffee it is very important to measure the amount of water and the dosage you use very accurately. The only way to do this is to use scales. 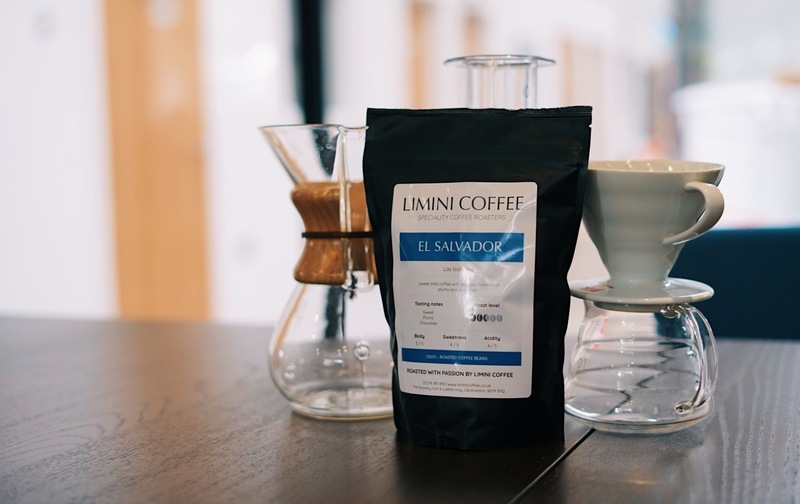 Brewing coffee for cafetiere or French Press and V60 single cup coffee or Chemex or most other popular brewing methods requires some precision. There are many terms for filter cup brewing such as 'slow brew', 'pourover', 'single cup filter'. In the end, the most important thing is that you use high quality coffee that is freshly roasted and coffee that has been ground fresh and stored in a cool, dry place. Water temperature is extremely important for extracting the correct flavours from coffee. The hotter the water the more is extracted. Think of dissolving sugar with cold or hot water - the hot water dissolves the sugar so much quicker! Well, coffee works in a similar way. Lighter roasted coffee can usually handle hotter water compared to darker roasted coffees. Usually you are looking for around 90 - 95 C. It is also worth noting that you must ensure the water quality is good as in tasty! We recommend to measure the water temperature prior to brewing. Enjoy our free online tool for brewing coffee! This online tool is here for you to make life easier. We hope it helps! What is the drink size? Brewing should take between three and four minutes. Start the timer once the water hits the coffee. When you adjust the grind, your grinder will grind at a different speed. Grinding finer will take longer for example. Most grinders work on measuring the dosage by the grinding time. 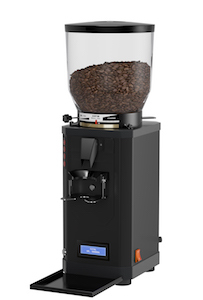 This means that when you adjust the grind, you will also have to adjust the grinding time. This tool will automatically calculate the new grinding time needed for your dose. Tip: remember to purge your grinder after adjusting the grind! What is your preferred set dose? Grind and weigh the dose. How much does the current dose weigh? What was the grinding time?